I have long suspected that Ron Unz, my favorite conservative intellectual, was a closet 9/11 truther. Now Ron has confirmed my suspicions. 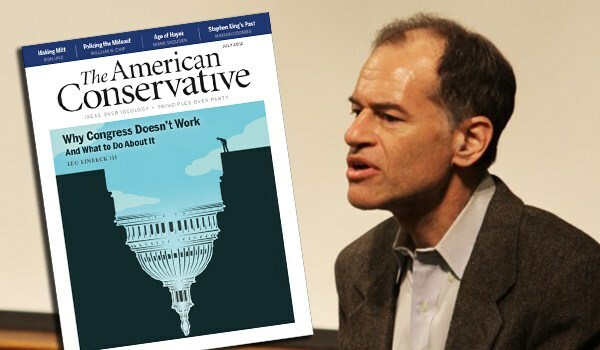 His new article “American Pravda: 9/11 Conspiracy Theories” is a barn-burner of a coming-out. Listen to Ron Unz discuss “Holocaust Denial” and the JFK assassination on my radio show. We have been condemned to live in interesting times, and the 9/11 anniversary is always an interesting day. Don’t miss the live-streams of the big events in New York, Washington DC, and San Francisco. If you’re in the San Francisco Bay Area, come on down to the Grand Lake Theater in Oakland for the 9/11 Film Festival, where I will have a table…and will be giving a short talk on censorship. Below is the text of my talk. I’ve got some bad news and some good news for you today, and it’s no joke. The bad news is that America, indeed all of Western civilization, is facing a censorship crisis. Key battlegrounds include the academy and the media…and even public libraries! My friend and False Flag Weekly News colleague Jeremy Rothe-Kushel was actually arrested for asking Dennis Ross about Israel’s connection to 9/11 during a Q&A at the Kansas City Public Library! And yes, he is suing the bastards. Jeremy was grabbed and dragged out of the library by trained-in-Israel off-duty cops. 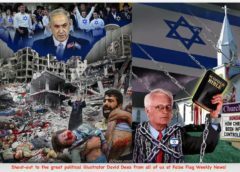 He was arrested right after he mentioned Alan Sabrosky, the former Director of Strategic Studies at the US Army War College, who has argued that Israel was the main 9/11 culprit. Dr. Sabrosky, who like Jeremy is Jewish, is apparently a very sensitive topic in some circles: The good news is that Bonnie Faulkner of Guns and Butter was not tackled or arrested for broadcasting a lecture by Dr. Sabrosky. The bad news is that she and her decades of archives have been scrubbed by the KPFA censors. More on that in a moment. I had my own brush with censorship in 2006, when I was blacklisted from the University of Wisconsin and the whole Western academy for questioning 9/11. 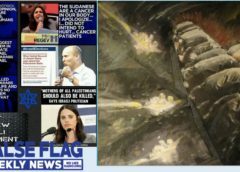 Since then, Norman Finkelstein of DePaul University, Joy Karega of Oberlin College, James Tracy of Florida Atlantic University, Steven Suleita of the University of Illinois, and Anthony Hall of the University of Lethbridge have had their careers blown up for discussing false flags and/or Zionism. Like the academy, the internet-based alternative media—the last bastion of free speech and free inquiry in an increasingly fear-addled dumbed-down conformist society—is under concerted attack. Search engines, including those of Google and Youtube, are tweaking their algorithms to unfairly favor mainstream over alternative media. Social media are following suit. In the past, when the internet was a more level playing field, subversive information really could “go viral.” The classic example was Loose Change, the 2005 9/11 truth film that quickly reached a hundred million views. Shortly before the 9/11 anniversary in 2013, the NSA (or someone with equivalent capabilities) stopped the Russia Today program “9/11 and Operation Gladio” from going viral. This episode of Daniel Bushell’s TruthSeeker show quickly rocketed on a trajectory toward tens or hundreds of millions of views…and then suddenly froze when it completely disappeared from all search engines. Emails containing the url for the program disappeared into a black hole in cyberspace. After Russia Today Founder Mikhail Lesin was beaten to death in a Washington DC hotel room in November 2015, RT scrubbed the program and stopped covering 9/11 truth. Today, if you make a 9/11 truth youtube, the NSA or Mossad or whoever it was doesn’t have to worry. The search engines themselves, including Youtube’s internal search engine, will make sure it doesn’t go viral. And it gets worse. 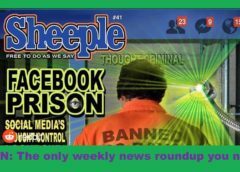 Now the internet oligarchs are demonetizing or even removing alternative media channels. 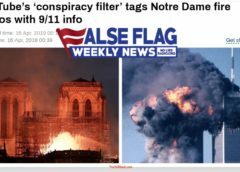 My NoLiesRadio show False Flag Weekly News was demonetized last year when GoFundMe banned us and stole more than a thousand dollars we had raised. 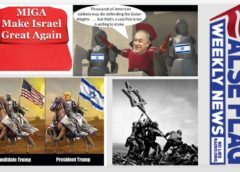 Veterans Today, the leading publication exposing the Israeli role in 9/11 and other false flags, has been banned from Facebook. YouTube has threatened or erased countless channels. *Iran’s news channel Press TV, which covers 9/11 truth and other taboo topics, has been removed from all satellite and cable in the West due to Israeli pressure. *In history’s worst-ever digital book-burning, hundreds of history books have been banned by the monopoly bookseller Amazon…and people who simply express opinions about some of those books, in the most inoffensive and reasonable ways, are being sent to maximum security prison—in Europe, not the USA…at least for now. *The Richie Allen Show, which in my opinion is tied for first place with Bonnie Faulkner’s Gun’s and Butter as the best radio show in English, period, was banned from YouTube under a ludicrous pretext. *And now, right here in the beautiful East Bay, home of the Free Speech Movement, Bonnie Faulkner’s Guns and Butter has not only been taken off KPFA, but all of Bonnie’s archives, going back decades, have been erased! So…where’s the good news? First: All of this extreme, outrageous, over-the-top censorship is motivated by panic. Subversive truth is spreading, and the social control freaks and public mythmongers are at their wits’ end. More good news: You CAN fight back! Think globally, act locally: Support Bonnie Faulkner this Saturday! Please attend the KPFA Local Station Board meeting this Saturday, September 15, at the North Berkeley Senior Center, 1901 Hearst Avenue in Berkeley, right near the station. The meeting is from 11:00 AM to 3:30 PM Pacific time. The Public Comment agenda item which usually takes place at around 11:30 or 12 has been set for 2:45. The agenda for this meeting shows that right after the usual housekeeping items like agenda and minutes approval, General Manager Quincy McCoy will give his report and then the body will adjourn to an Executive Session for which the public will have to leave and wait around for the Open meeting to resume. Then additional business will take place before reaching the Public Comment item. But by then the General Manager will likely have left the meeting. So if you want to try to say anything to Mr. McCoy you should get to the meeting no later than 11: 15 AM and call for Public Comment to be taken before the body goes into Executive Session. KPFA mismanagement isn’t just censoring Bonnie Faulkner, they’re censoring you. This Saturday, it’s time to talk back and let your voice be heard! Please put the free speech back in Berkeley—be there this Saturday, 11 a.m., North Berkeley Senior Center, 1901 Hearst Avenue, near the North Berkeley BART station!